Missing prisoners? Unexplained noises in the night? 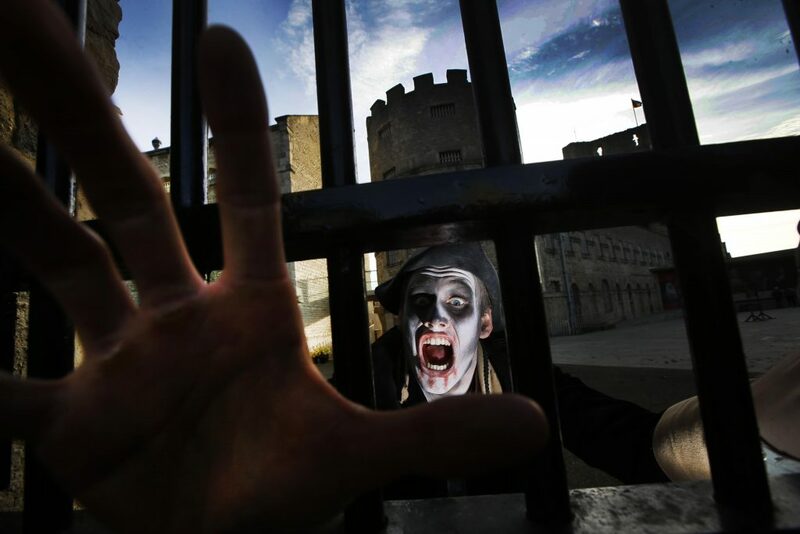 Take a sinister journey through the haunted heart of the historic castle and prison… if you dare! Take a sinister journey through the haunted heart of the historic castle and prison. A ghoulish guided tour featuring tales of recent ghostly encounters and horrible history from centuries past. With so many ghosts, you won’t be braving it alone! Tour groups will meet in Oxford Castle Quarters café – The Castleyard Café – located next to the castle. We advise that you bring a torch as parts of the tour will be unlit. Tour will include climbing 101 step staircase.